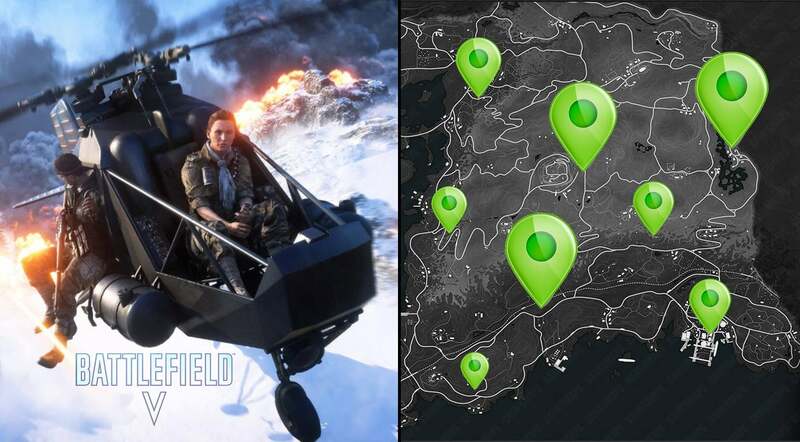 Vehicles, Helicopters and Boats locations spread across the Firestorm map. Here is where to find them on Halvoy. 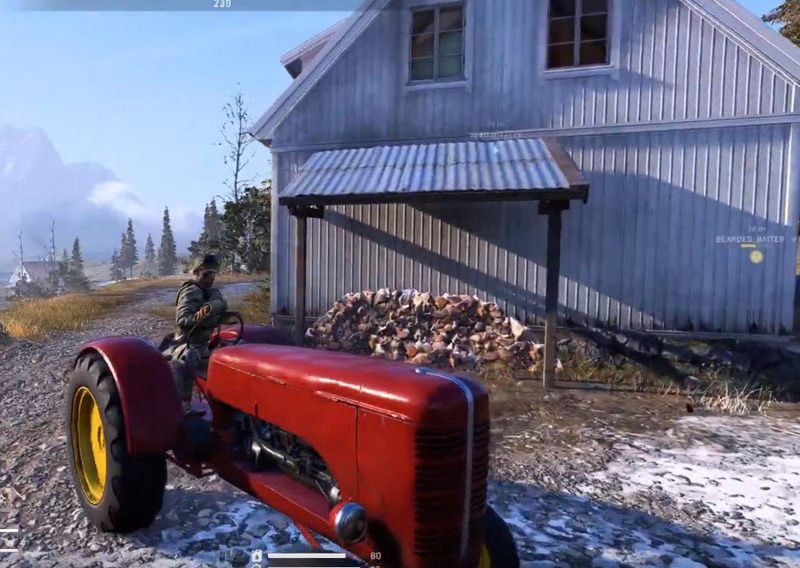 One of the dominate features in Firestorm Battlefield V are the vehicles, helicopters and boats in the game. First seen in the trailer, these means of transportation are frequently used and knowing where they are located on the map is essential for having an edge against your opponents. 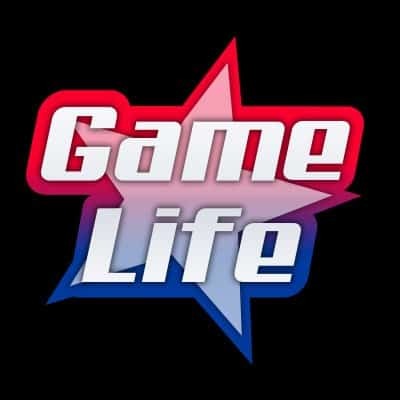 They play a huge role in not only eliminating opponents, but for your overall survival in the game. These means of transportation can help you fly to certain objectives on the map, out-pace the Firestorm, and get closer to the main location where the circle is closing in. There are several different types of vehicles in Firestorm. Here are some found in the game. There are combat vehicles such as the Light Armored Tanks which serve both as an offensive weapon and defensive barrier. 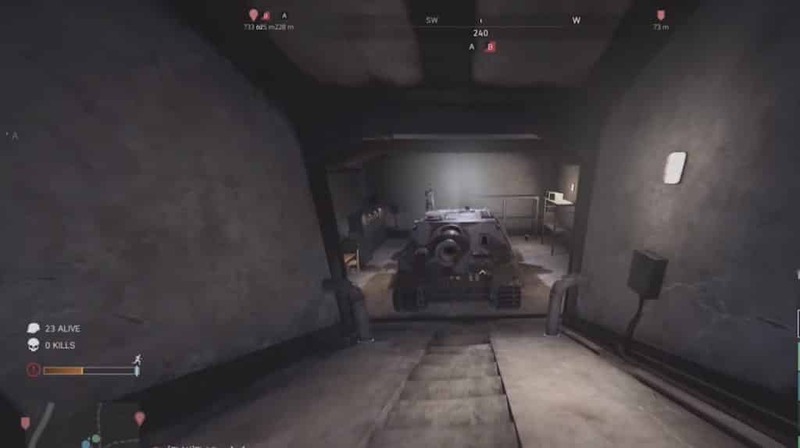 In squads, two players can use these armored tanks as the driver can direct the tank, while the passenger can use the gunner spot to shoot close-by enemies. In solos, you’ll have to switch back and forth from driver to gunner position if you want to utilize certain features of the tanks. Special call-ins can be made through the flare pistol. The only issue with that is the time is takes for the light-vehicle to be called in, leaving you vulnerable to enemies. The strongest tank is the Sturmtiger, which can only be found in locked-up bunkers. In order to access the bunker, you’ll need to turn a wheel-mechanism found on the side of the bunker. This also leaves you vulnerable for two reasons. 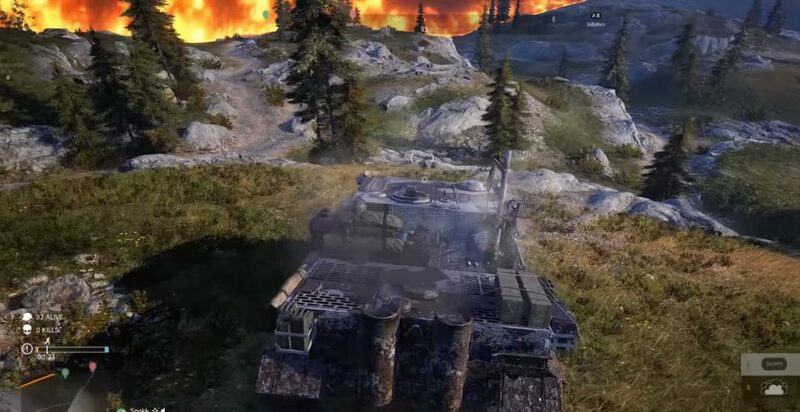 One, when you turn the wheel to open the massive steel doors, an air horn goes off, letting surrounding enemies know that you’re attempting to open the locked up Sturmtiger. Secondly, the time it takes to open the massive bunker steel doors can make you an easy target for enemies who have the courage to track you down. One of the most practical vehicles are the ones for transportation, such as the pick-up truck or the staff vehicle. These vehicles can move you across the map fast, and you’ll be able to dodge incoming enemy bullets. However, if someone has an anti-tank rocket, there’s no dodging that. These vehicles can carry your hold squad (if you’re playing quads). 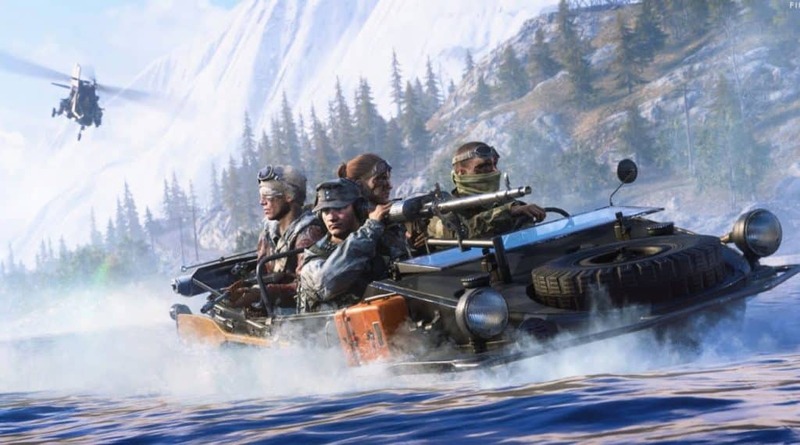 One of the more unique vehicles in the game is the amphibious Schwimmwagen, which can be used on ground or in the water. One of the most distinct means of transportation is the unarmed Kolibri helicopter. An entire squad can get in the helicopter. Like all vehicles, the Kolibri helicopter is incredibly loud, thus, alarming any enemy squads that may be nearby. If an enemy squad has an anti-aircraft gun, you’ll need to cross your fingers and hope you can dodge these lethal weapons. Keep in mind that all powered vehicles require fuel and ammunition in Firestorm. Like weapons that are found in buildings, there’s ammunition nearby. Same thing goes for the fuel. Any vehicle you’ll find typically will have fuel jugs nearby. For the ammunition, there are two types; light ammo and heavy ammo. Light ammo is used for machine guns on the vehicles, while heavy ammo is used for tanks to restock the shells. Finding where these vehicles, helicopters and boats are is essential to your pursuit for victory. There’s an abundance of areas that holds them, so knowing the hard like the back of your hand will help you get one before your opponent does. Typically, the best approach is to find a vehicle as soon as you deploy from the Junker Ju 52. This way you’ll be able to locate the best loot spots in Firestorm. 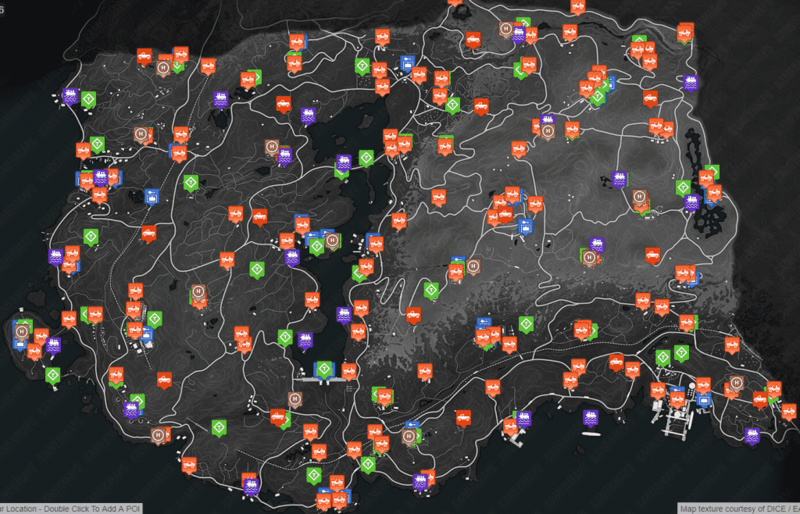 Below is the interactive map of where all the vehicles and helicopters are located. The light orange icon represents the world vehicles. These are the vehicles that can get you from point A to point B, and can carry your entire squad (given you are playing squads). The brown icons are the helicopters. The amphibious vehicles are the purple icons on the map; ideally these are the best as you can use them for both the ground and in water. Breakout spawns vehicles are indicated by the dark orange icon. These are vehicles like the pickup truck. Towables are indicated by the purple icon on the map. As a bonus, the blue icons are safes, which carry high tier loot. Do keep in mind that breaking the lock of the safes take time, so you are leaving yourself vulnerable to enemies. Knowing where all vehicles, helicopters and boats locations in Firestorm will give you a huge upper hand against your opponents. Finding them is one thing, but also learning how to use them is another. It will take some practice but once you get the hang of it, you’ll be able to storm the Halvoy map like champ.